Hollywood, California - September 9, 2014: Los Angeles Tour Buses Pull Up to Vista Viewpoint on Mullholland Drive. 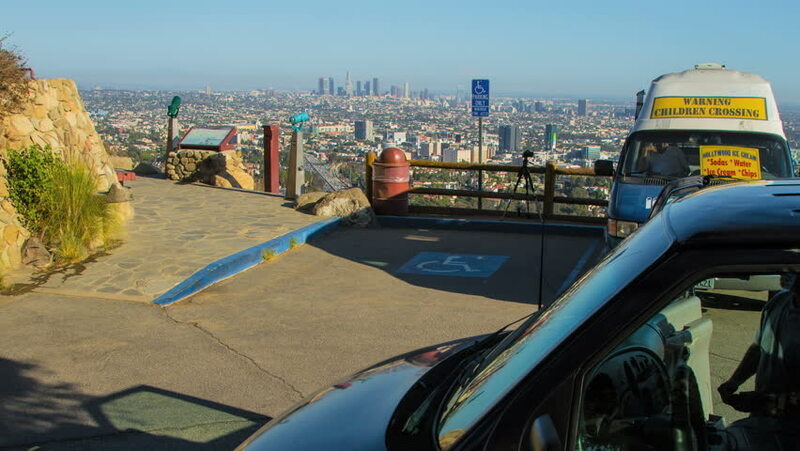 Tourists exit for sightseeing, photography September 9, 2014 Hollywood, California. 4k00:16Insane rush hour traffic jam in Istanbul Metro Bus Line. High speed public buses moving on express way. Incirli bus stop with yellow buses. Out of focus. hd00:20Slow Motion panning from Auckland Harbour Bridge towards of Auckland city CBD skyline.